Electrochemical strain microscopy, complemented by hard x-ray photoemission spectroscopy, in Ce1-xSmxO2 samples showed that the doping strongly influences the channel reactions: water adsorption and dissociation with subsequent proton liberation is favored in films with lower Sm doping and thus enough Ce3+ content. 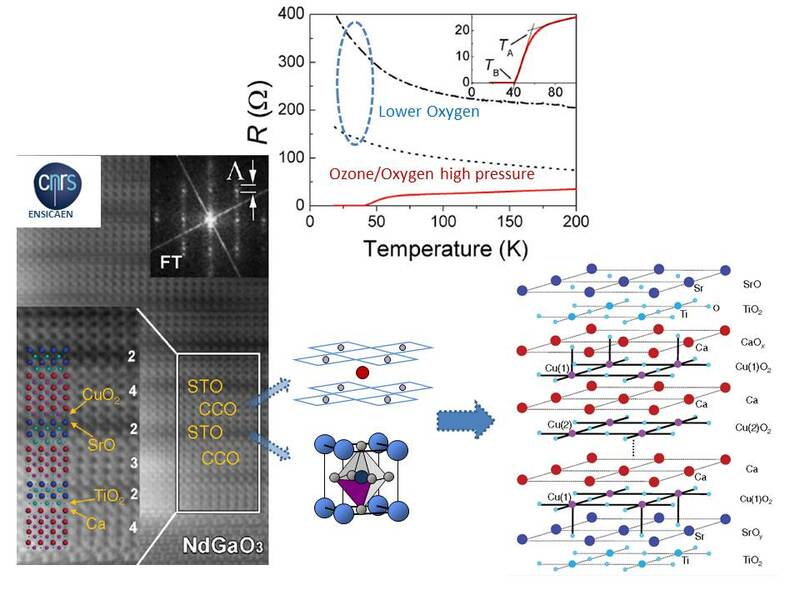 Superconductivity was found in CaCuO2/SrTiO3 superlattices grown under strongly oxidizing conditions with a maximum Tc of about 40K. The role of the extra oxygen at the interfaces, which thus act as charge reservoir for the CCO block, was envisaged by the presence of Cu 3d(eg) holes with out-of-plane orbital symmetry, observed by x-ray absorption spectroscopy measurements. Hard x-ray photoelectron spectroscopy shows that by using highly oxidizing growth conditions, the oxygen coordination in the reconstructed interfaces may be increased, resulting in the hole doping of the cuprate block and thus in the appearance of superconductivity.